From the moment I was old enough — say, about around the time when I was 13 or 14 — to see how relationships work, I always told myself I’d be a better father to my kid(s) than I had, and a better husband to my wife than I had seen growing up. Yet, over the past few years, my certainty about having kids has become a debate. 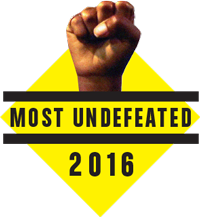 And with this week’s murders of Alton Sterling, 37, of Baton Rouge, Louisiana, and Philando Castile, 32, of Falcon Heights, Minnesota, the arguments with myself are growing louder. The reaction of their children shakes me to my soul. Seeing Cameron Sterling, the oldest of Sterling’s five kids, break down on national TV while his mother read a prepared statement put me in a very, very, very dark place. One I’m still in. At 15, you’re neck-deep in a pivotal life point: old enough to begin understanding how the world works, but young enough to still need guidance. Watching Cameron plead for his daddy, unable to make it throughout the entire statement, reminded me of Jan. 2, 1999, the day my uncle — the closest father figure I’ve ever had — died of colon cancer. As a young man, losing a man you love unconditionally never becomes easier. You can’t get that part of your soul back. And what hurts so bad is that while time heals, the hole in Cameron’s life will never be filled. The wild thing? I’m not sure which is a disease: cancer or cops who shoot first and blame the victim later. The sobs of Cameron Sterling and a 4-year-old child’s last images of her mother’s boyfriend are the newest tattooed tears. Death has never felt around-the-corner for me, but I’m keenly aware of its existence. I’ve never been as close to dying as Sterling was in his last moments. But I can see him in my mind’s eye. I see him fighting for final breaths, staring into the Baton Rouge sky. His left hand moving, almost if to grab memories to take with him to the afterlife. Perhaps he thought of his kids. Perhaps he thought of never having the opportunity see their smiles again. Or perhaps he thought the only way they’d be able to reach out and touch him would be through pictures and a soon-to-be-planted tombstone with his name on it. 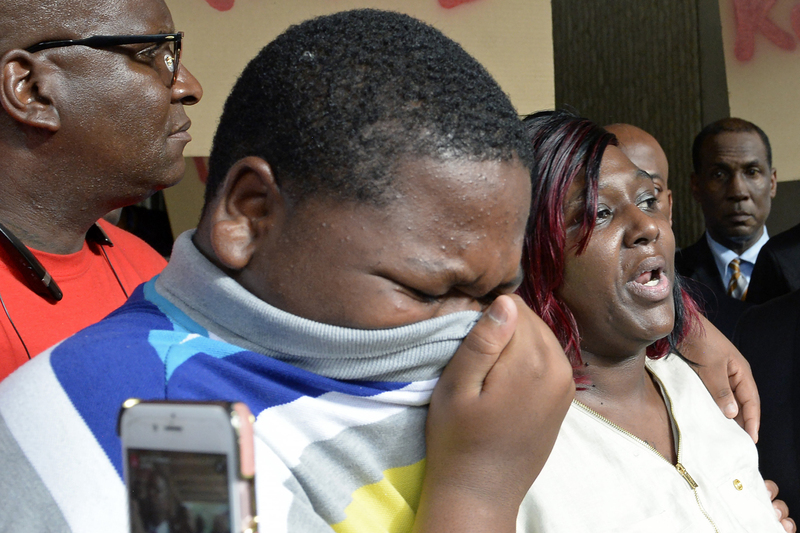 Cameron Sterling, left, Alton Sterling’s son, cries, as his mother Quinyetta McMillan speaks about the shooting of Alton Sterling during a press conference and protest at city hall Wednesday, July 6, 2016. We can debate until we’re blue in the face about Sterling’s criminal record. Whether he had a gun in his possession at the time of his death (Triple S Food Mart owner Abdullah Muflahi said he didn’t see Sterling get into a confrontation or pull out a gun). Or whether the officers’ body cameras fell off during the scuffle. But one simple question, the only one that really matters at this moment: Did Cameron Sterling’s father, the 114th black man killed by police in 2016, deserve to die? The killing of Castile somehow ruptures an even deeper part of the soul. First and foremost: all compassion and credit to Diamond Reynolds for having the wherewithal to live stream the most traumatic event of her life. She maintained her composure under the most dire of circumstances. Castile informed the officer he’d reach for his wallet, but wanted him to know he was carrying a registered firearm. Not that it should matter, but Castile had no criminal record, and was a cafeteria supervisor at J.J. Hill Montessori School in nearby St. Paul, Minnesota. “You told him to get his ID, sir, and his driver’s license,” Williams says with astonishing calm as her boyfriend bleeds out beside her. Her 4-year-old daughter sits in the backseat. The little girl, just out of the toddler phase, witnessed her mother’s boyfriend being killed for purportedly doing exactly what a police officer told him to do. He never had the chance to kiss her one last time. He never had the chance to tell her he loved her, and that even though he was leaving this world, he’d always be there for her in spirit. Tears. I’ve shed tears multiple times already. I can hear that little girl in my sleep. And over the past couple of weeks, I’ve had more “conversations” with police officers than I care to admit. Thankfully, I survived. Each time I’ve felt defenseless. Standing face to face with your own mortality is life-altering. And something I haven’t been able to get off my mind in weeks is how many more times can I escape a death like Alton’s or Philando’s. What makes my life more worth sparing? 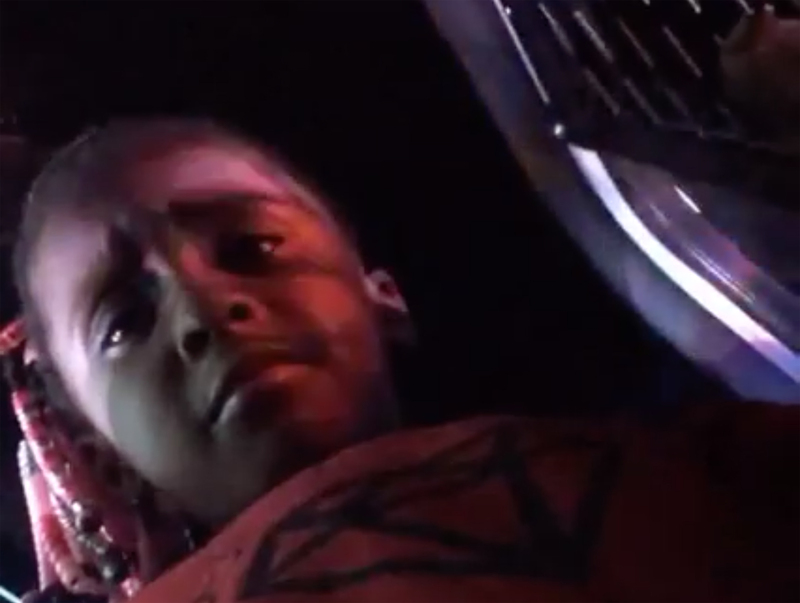 Daughter of Diamond Reynolds looks down at her mother’s phone while it laid on the floor of a police car. The concept of death doesn’t scare me. I think any black man or woman, as morbid as it sounds, will tell you: If you make it past a certain age, you feel you’re playing with borrowed time anyway. What really scares me the most about dying is leaving without getting the chance to teach the ones I love everything I feel they need to learn from me. Being remembered as an incomplete book isn’t what I want. The sobs of Cameron Sterling, and a 4-year-old child’s last images of her mother’s boyfriend are the newest tattooed tears. Emotions like the ones I’ve battled these past few days make me wary of having a family. I want to have kids and a wife. I do. But I can’t help thinking that if I don’t have a family, then I have fewer people to leave behind in pain. The world has me contemplating aborting the best part of me before I even get a chance to create him or her. Every man has a breaking point — and I’m nearing mine.